I babysat Xia Yue (1) from May to June 2017 six days a week. I sang songs, read her stories and fed and bathed her. I worked in a kindergarten from August to December 2017 taking care of children ages 3 years old. I taught the children math and checked their homework. From March to April 2017 I worked in a kindergarten taking care of 3-year-old children. I taught painting, handicrafts and basic English and I played games with them. Per a reference: "During the period of working in our school, she was conscientious and responsible.She has a wonderful rapport with colleagues, kids and parents. She is modest, kind-hearted, optimistic and positive. 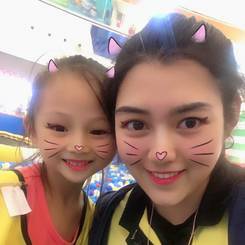 She is an easy-going and considerate girl, she can take good care of children, she also has a gift in drawing, she can teach children how to draw professionally, children all like her." 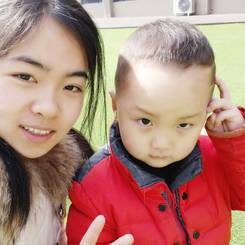 I babysat Xiaoma (3) from March 2016 to February 2017 three times a week. I did different activities with her, did all childcare related duties and ensured she was safe. I looked after Ziyan (5) from July 2014 to February 2016 on weekends. I prepared her meals and taught her to draw and swim. I worked as a kindergarten teacher from April to September 2017 three days a week taking care of children ages 4 to 6 years old. I like children very much. I like to play with children, because they are the angels on this planet. Playing with them and growing up with them make me feel childlike and happy. I am an art student, learning painting for ten years, is also a part-time kindergarten children's painting teacher, I can teach the children painting, I am also a part-time swimming and diving coach, and hold the professional rescue card, I can play with the children go to swimming pool or the beach to protect their safety. In the end, I am a lively, cheerful and humorous older sister, and I am also a good Au pair. I will work hard and treat children patiently. In summer 2016 I helped and worked in Cram school with 5-13 year-old children, I taught them English and Chinese calligraphy, put them down to nap and supervised them during lunch time. Also in 2016 I had an internship in school, I was responsible for 12 year old children. In 2018 I had an internship in the school, I was responsible for 11 year old children, I corrected their homework and played with them. In 2019 I had also an internship in the school, I taught children Chinese language, played with them and checked their homework. In 2018 I babysat Chenxi Ji (6) I bathed her, changed her diapers and put her down to nap. Reading, traveling, learning English, teaching children, hiking, running. My dream is to work with children and teach them, I love the kids. 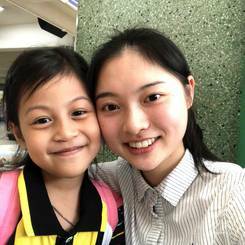 I feel happy when I was with them .Being an au pair is a wonderful and joyful opportunity for me to go out of my comfort zone and broaden my horizon. My major is Elementary Education. So I learned a lot of educational courses in school. And I am also full of teaching and caring experience. I am independent, hard working and positive.